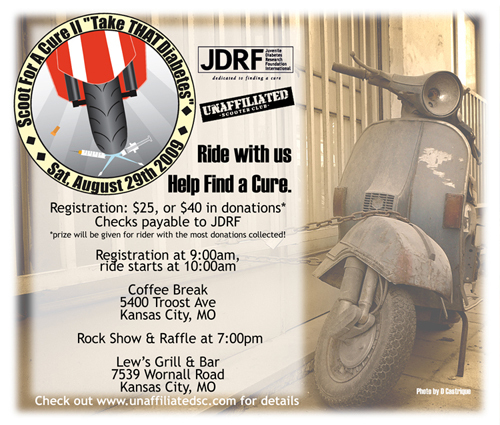 All of the proceeds from the event & merchandise will go to JDRF. They are also currently looking for sponsors to provide donations of product or gift certificates for the raffle, or promotional items for the rally packs. So please contact them at unaffiliatedsc (at) gmail.com if you’re interested in donating! This entry was posted in Clothing, Good Cause, Miscellaneous by Tracy. Bookmark the permalink. Thanks for promoting our fundraiser rally! !